Reverend James Hamrick, Director of Missions for the Northeast Florida Baptist Association (pictured here with his wife Suzanne), realized the need for a Baptist church at the south end of Amelia Island. 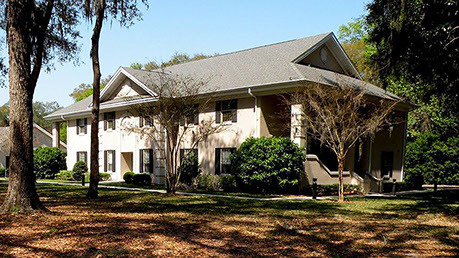 His vision finally began to materialize two years later on February 16, 1988, when the Florida Baptist Convention purchased 5.6 acres of land on Amelia Road (Buccaneer Trail) and Gerbing Road for a future church site. 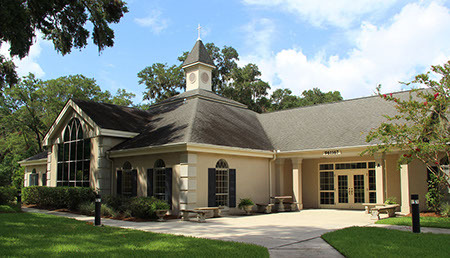 The newly formed Amelia Baptist Mission held their first Sunday Worship Service June 4, 1989. Out of the 60 men, women, and children present, fifteen people became the first official members of the mission. 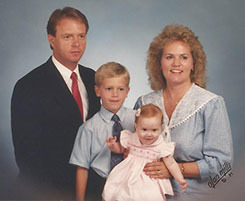 July 1989 saw the start of Sunday School, and a Pastor’s Search Committee was elected. After prayerful consideration, seventeen members of Amelia Baptist Mission voted unanimously on August 5, 1990, to call Reverend H. Neil Helton of Madisonville, KY as the first pastor. Neil’s wife Pam, a talented musician, soon became Amelia Baptist Mission’s first volunteer Music Coordinator. Under the leadership of the Heltons, the mission soon grew to 98 members. Neil and Pam officially began their ministry at Amelia Baptist on September 16, 1990, and they remain as Senior Pastor and Music Minister to this very day! Amelia Baptist Mission finally became Amelia Baptist Church in 1993. Today, Amelia Baptist Church is a Christ-Centered, Family Equipping church with over 300 members and attendees. Please take the time to check out our Purpose and Mission as well as Our Church Covenant on those respective pages of our website.